Our location next to the Vatican City permits you to reach Rome's main attractions within just a few minutes walk. 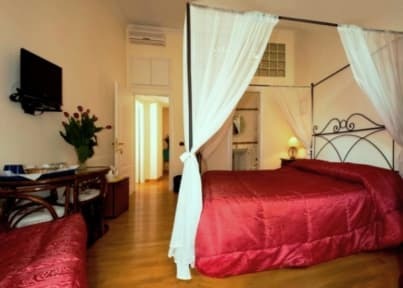 This elegantly furnished apartments located in 2 different buildings (the studio-flat is in Via degli Scipioni, 110 while the large 3 rooms apartment is in Via degli Scipioni, 121.) and can accommodate 2-3 people or up to 7 persons. 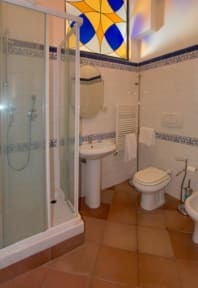 Services: ensuite bathroom, deluxe furniture, TV LCD /Satellite with national & international channels, free wifi, linen and towels, hairdryer, minibar, tea/coffe facilities, air conditioning, city tours and airport pick-up avail (extra). We are just 100 metres from St. Peter's Basilica, the Vatican museums, and metro station 'Ottaviano-San Pietro' is only 50 metres away. We will be delighted to suggest you how to spend an unforgettable holiday in the Eternal City.